Most of us know that winter weather can makes roads treacherous and driving dangerous. However, sometimes it's easy to overlook the problems that are right outside your front door. 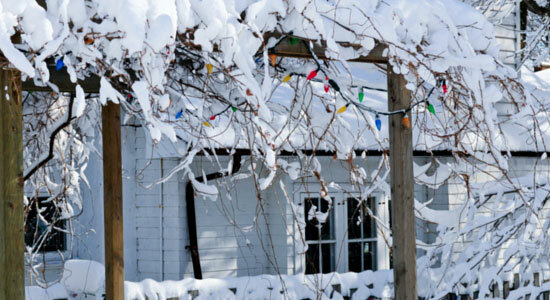 We've compiled some safety tips to winter-proof your home. Since you're responsible for the wellbeing of guests and individuals visiting your property, taking these steps will keep everyone safe – and you protected. Outdoor lights are a staple of the winter holiday season. Most homes would feel incomplete without them. That's why it's important to take extra care when running extension cables through your yard. Make sure all cables are cleared from walkways and other areas of foot traffic. Make sure to mark any potential hazards, so they can be clearly seen by any visitors on your property. Even though patio and porch furniture might not be left directly in a walkway, it's important to store these items safely. If your outdoor furniture is covered by snow and causes someone to trip over them, you could be held responsible. We recommend storing them in a basement or shed. If that's not possible, make sure they're out of the way and brightly marked, so they can be seen. This will make any visitors aware of possible tripping dangers. Welcome mats are great to knock off snow from the winter boots of visiting friends and family members. However, if they get covered in snow or ice, they can pose a serious slipping hazard. Be sure to clear these off after every snow or ice storm. Also, you're responsible for your making your walkways safe. This doesn't just mean removing snow and ice, but also making sure there aren't any large cracks or divots that could possibly trip. Snow and ice removal is a constant concern this time of year. 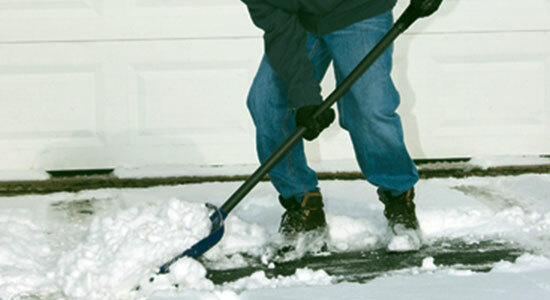 Homeowners are often out shortly after a snowstorm with shovels in-hand. In Pennsylvania, you have 24 hours to clear sidewalks and walkways of snow and ice. If you fail to clear your area, you may be fined. Renters will need to consult with their landlords and lease agreements to clarify who is responsible for snow and ice removal. In townhouses, there may be a clause that designates the renter as responsible. However, in apartment buildings the landlord might employ a snow removal service. This handy little tool could save you and your guests from serious injury. Heat tape can be strung around gutters and the edges of roofs in order to keep ice from forming on ledges. Icicles and falling ice chunks can cause serious injury. You will need access to an outdoor electrical outlet if you plan on using heat tape. However, the investment alone could save you or a guest from an injury down the road. While your holiday lights might make your home magical during that special time of the year, your outdoor lighting should be more than twinkling little lights. Having porch lights, floodlights, and walkway lights can go a long way to keep your incoming and outgoing guests safe. Before the ice and snow comes, make sure to replace any bulbs that might be burnt out or approaching the end of their lifespan. 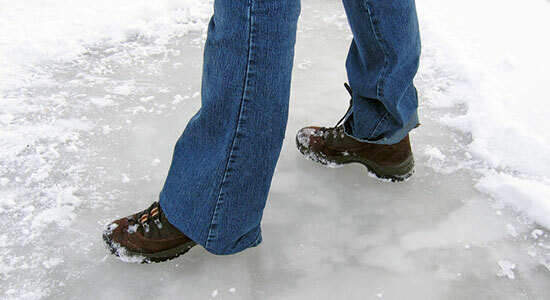 By providing clear light to all your walkways, you can prevent a dangerous slip and fall. By taking a few precautionary steps, you can eliminate most of the hazards at your home this winter. As a homeowner, premises liability means you can be held responsible for injuries caused on your property. Homeowner's insurance will help handle the bills associated with slip and fall injuries. So if you're injured at a friend or relative's house, they won't be left holding the bill. Their homeowner's insurance will protect them. And while homeowner's insurance will help cover injury costs, it's up to the homeowner to make the home as safe as possible. And don't forget – we're available if you ever suffer from a slip and fall injury.